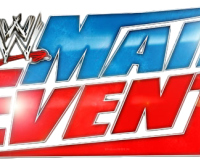 The 67th edition of WWE Main Event came to you from the DCU Center in Worcester, MA. After an upset victory over WWE World Heavyweight Champion Randy Orton on RAW, Kofi Kingston would be looking to continue the momentum as Kofi would go one-on-one with Curtis Axel on Main Event. Kofi Kingston def. Curtis Axel by roll-up. Damien Sandow def. Sin Cara by pin following You’re Welcome. 3-on-2 Handicap Match: The Prime Time Players def. 3MB by Darren Young rolling up Drew McIntyre. 6-Man Tag: Los Matadores & El Torito def. 3MB by Diego pinning Jinder Mahal following the double-team Samoan Drop. *Also on Main Event, Bad News Barrett announced that he will be one of the 30 men taking part in the Royal Rumble Match a week from this Sunday, joining the likes of CM Punk, Alberto Del Rio, Big E. Langston, and “The Animal” Batista. *Every match and segment on the show featured Ryback coming out to ringside, marching around the ring and screaming at the fans before walking to the back.